is from Kyoto, Japan. Vancouver residence. She first started learning Japanese calligraphy at the age of 5. She has studied with Shodo Sensei, Takako Asai for 12 years and received her “Sei Shihan” (Teacher Certificate) from Nihon Shuji Kyoikuzaidan in 2002. Since immigrating to Canada, in 2003, she started on her Shodo path of teaching, at Tonari Gumi (Japanese Community Volunteers Association), two Japanese Language schools and her own private class, and multiple private commissions. 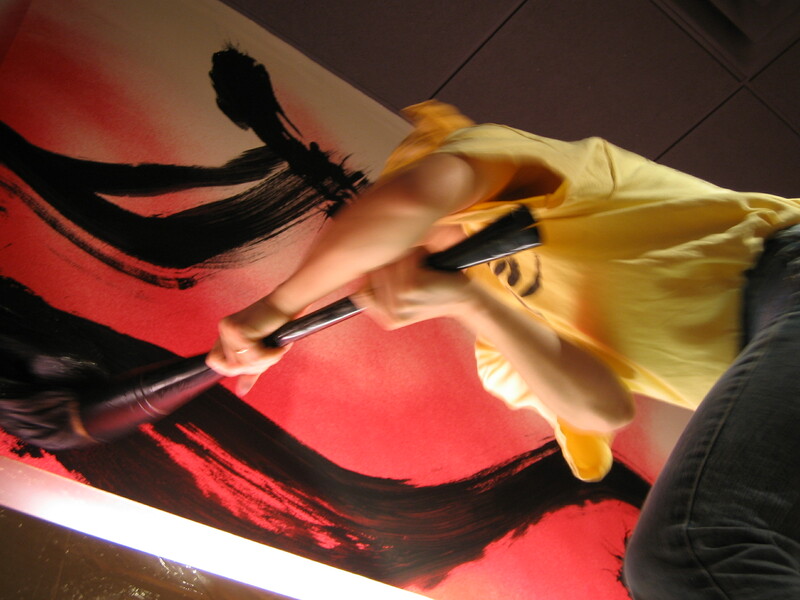 She strongly believe that Japanese Calligraphy is not just a form of brush stroke, but also is mean of meditation. Several Tattoo design for clients.